For the Sengwer forceful evictions are a part of everyday life. Timby is working to change that. By Isaac Wambugu. For decades, the Sengwer have faced evictions from their ancestral lands, mostly by forest rangers, first from the Forest Department and more recently from Kenya Forest Service. The latest round of evictions intensified in 2016, with the launch of an EU-funded climate program. Though the programme was aimed at protecting water sources, improving livelihoods, and enhancing community resilience to climate change, the focus of Kenya Forest Service on evicting the very communities who can protect the forests means that forest dwelling community members have reported physical assault, verbal threats, harassment, the use of live ammunition, the killing of a communitgy member, woudings, and the burning of their houses, including school books and uniforms, and the theft of their livestock, according to numerous witnesses, including newspaper reports and the Kenyan Human Rights Commission. Documentation of evictions is difficult, especially when there is little notice and one’s life and property is in danger. But without documentation, it is nearly impossible for groups like the Sengwer to follow-up, either in a court of law or through the media. Without systematic long-term documentation of evictions (and also of court cases, resolutions etc. ), it’s also difficult for groups working with forest indigenous communities to move away from fire fighting and work on longer-term policy that prevents these issues from reoccurring. In partnership with the Forest Peoples Programme (FPP), the Sengwer community has started working with TIMBY to facilitate their collection of evidence of violent evictions (including testimonials) and help maintain a long-term database to document the cyclic nature of these attacks. This data (scraped of identifying information) can then shared with concerned lawmakers, policymakers, investors, journalists, human rights organisations and the general public. 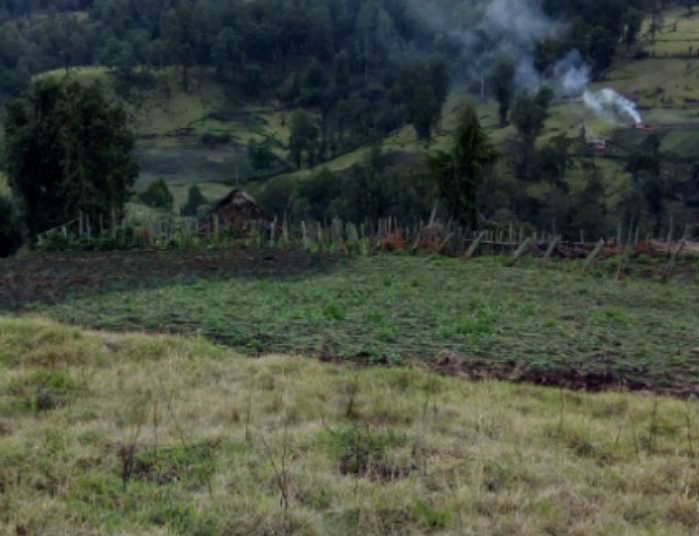 According to Elias Kimaiyo, a Sengwer community leader, the Sengwer land evictions began in the colonial period; the colonialists marked and sub-divided their territories while the Sengwer went largely unnoticed, living communally in the forests. By the time Kenya gained independence, most of the forests – including those used by Sengwer as hunting grounds, sites for bee-keeping, animal rearing and traditional ritual practices – were gazetted as protected forests. The post-independence government continued to deny the Senger their rights to their ancestral lands, meaning that the Sengwer were considered illegal squatters in their ancestral forest lands. Evictions continued, but intensified with the creation of the Kenya Forest Service (KFS) under the 2005 Forest Act. Due to public outcry, the Government of Kenya created a Taskforce in 2009 to address the issue the evictions in Embobut forest. The Taskforce decided to compensate the 2,800 individuals it profiled as ‘genuine squatters’, instead of recognising the need to stop the evictions and to support the Sengwer to live on and conserve their ancestral forests. Needless to say, the compensation process was itself highly compromised, with much of the money going to the well-connected and many genuine community members receiving nothing. At the same time it should be stressed that at no point was the Sengwer community consulted on the compensation process, and never agreed to this process. As well as this, they were told by prominent Government politicians that the compensation was for the past harm they had experienced at the hands of KFS, and that componsation did not mean they had to leave the forest report. From November 2013, the government rolled out money as compensation to those the Taskforce had decided were the profiled individuals. Shortly after this, the forceful evictions by the KFS resumed. In 2013, Sengwer community representatives presented a petition to stop the evictions. The court ordered for the halt of the evictions until a ruling was made. 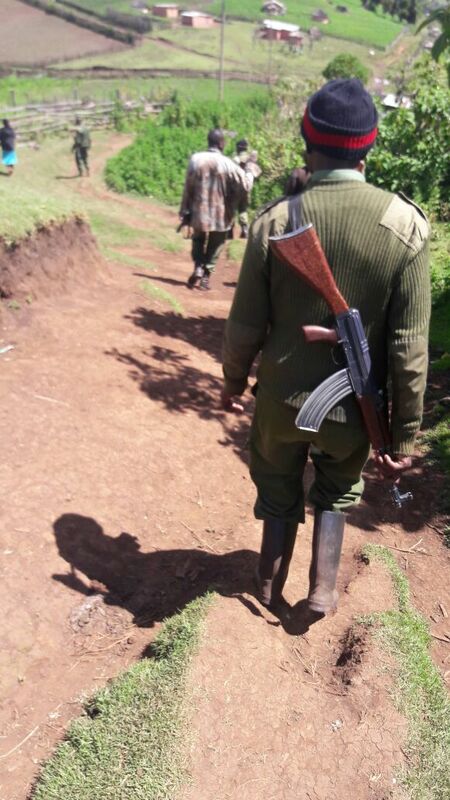 To the community’s dismay, the KFS violated the court order and continued the evictions. Beyond everything, conservation funding from the international community continues to be a major contributor to the current forceful evictions and human rights violations, according to Kimaiyo – specifically the EU WaTER climate project. It was not until the death of one member of the community - 41 year old Robert Kirotich – that the EU finally suspended its funding for the programme. “Yesterday’s shooting took place after we had formally alerted Kenya’s Government that the use of force … against innocent locals would lead the EU to suspend its financial support for conservation work on the country’s water towers,” said the EU Ambassador to Kenya, Stefano A. Dejak.